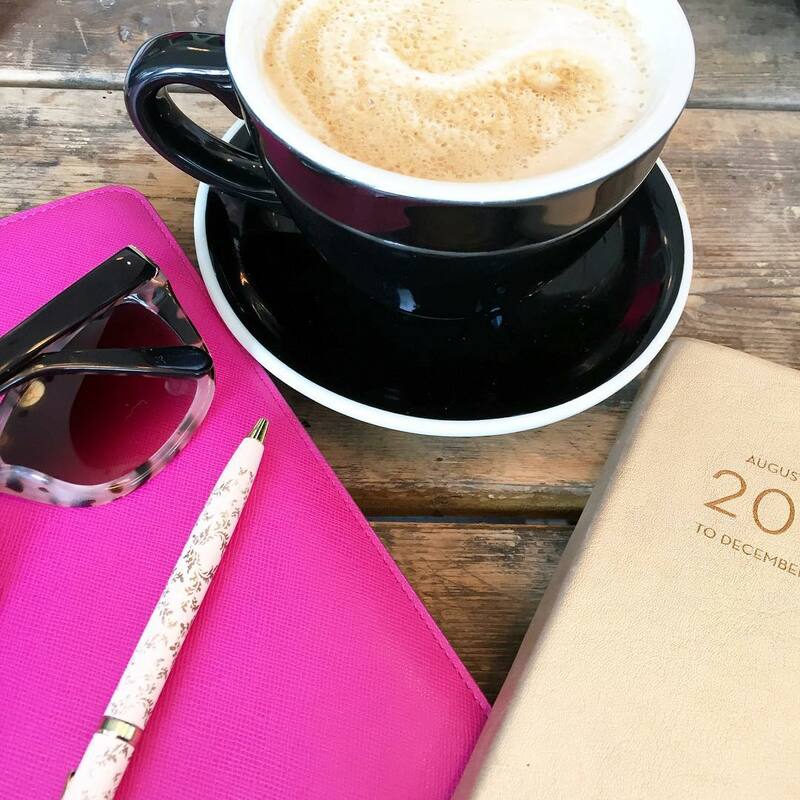 Day in the life posts are some of my favorites to read because as bloggers I think we envision fancy coffee breaks and lots of events every night to keep us occupied- oh is that just me?! I decided to capture a regular day for you all - nothing fancy, nothing shiny just real life! 6:00 AM - Alarm goes off and I'm wide awake! I make sure my post has gone live and then I bounce out of bed - careful not to wake Gary since he isn't a morning person! 6:15 - I take my spot on the couch and you can find me here for the next 45 minutes as I make my way through my morning reads! Those of you that post right at 6:00 AM or earlier - THANK YOU! Between 7:00 and 7:30 I'm usually making my way between our bedroom and the kitchen juggling getting ready, putting on makeup and making us breakfast. I take mine to go! 7:40 (yes I'm that accurate): I make my way to the train and thankfully my commute isn't too bad since I'm at my desk by 8:30 AM. Before the day gets started I try to read a few more posts and then the business day starts! 9:00 - 12:00 - this is the part of my day that really varies because I can be bouncing from meetings to actually working on pitches that we have to get out the door. I'm helping to create a lot of new content so its very creative. 12:30 PM: LUNCH! Again another part of my day that varies but I decided to skip the gym and have a salad with my sister outside! We work very close so it's a treat to see her so often! The rest of the day flies by in a flash doing a lot of the same from the morning and I find myself with a little downtown around 4:45! 5:30 PM: Didn't take a picture of this, but I hit the gym for a quick run and two rounds of my favorite 7 min workout - do you have the app yet? I mentioned it back in June and have been using it ever since! I strategically picked a gym that has two locations that work for me - one near my house and the other literally in my office building! This saves a lot of time with not having to travel too far! 6:30 PM: Start on dinner - chicken stir fry is one of our favorites and we can't forget the sriracha spicy mayo! This is literally my favorite time of day because Gary and I get to catch up on everything that went on! Sometimes it's easy to feel like two ships passing in the night - but making dinner together is a nightly ritual - schedule permitting! 8:00 It just so happens that the day I was recording all my stuff was the day before the wedding we helped coordinate at the Cape. So I was doing some last minute printing of the timelines, vendor contracts and all the other good stuff we needed! Also made sure to get the packing done so I wasn't scrambling in the morning! 9:00 ish: Finally settle in for the night with my tea and a little real housewives! I'm in bed by 10:30 and then repeat the next day! PHEW! You're probably wondering when I respond to emails and stuff - honestly this varies between morning, lunch and after work on my train ride home. My take away is that I spend a lot of time in front of computers - since four of my photos have them! So there you have it a quick take on my daily routine! 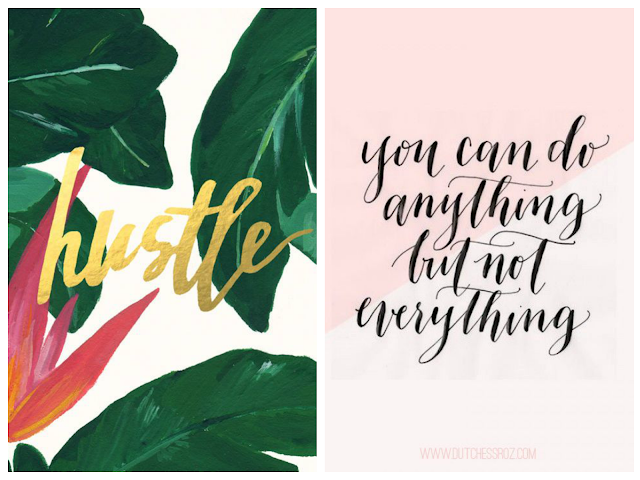 And I always remember these two quotes...it's all about finding balance! My every day life isn't quite as glamorous as some out there, but I love routine and I'd love to know what you're daily routine is like!! I love Getting a sneak peek into people's routines- thanks for sharing! So fun to get a sneak peek into your every day life. Now I know what you're doing when we're texting. The fun part is, we have our lunch break at the same time every day--now if only we worked closer together so we could grab a bite to eat together. In our matching shirts bahahah! I was just thinking if I should do a "day in the life of" post but my life is pretty boring! Just hearing that you ride a train is exciting to me, so funny how different states are since I've never even been on a train! Love hearing about your day and yes, I'm an early morning blogger too! I need to get that last quote tattooed on my forehead! It's a great one. 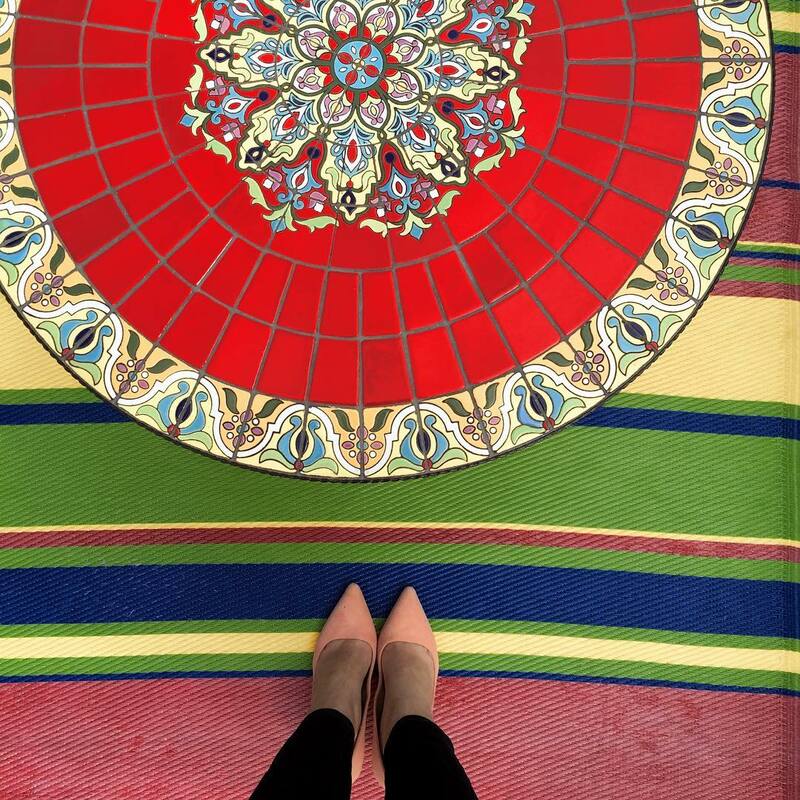 This is such a fun post Biana, and it sounds like you are incredibly organized an well balanced. Family dinners are super important to us too! I’ve been wanting to do a post like this too! I love getting a glimpse into other people’s day! I'm a total stickler for a schedule too! It helps me to make sure I don't miss certain things during the day. That's so awesome that you and your sister work so close together and can meet for lunch! I'm so with you... These are my favorite posts! It's great that you get to fit in some you time in the AM! loved seeing your day! that is so sweet you get to spend time with your sis! and i love that last quote. i love this post. i think i should do the same thing. i am SO not a morning person so good for you girl! i am barely awake as i write this ha. but now i'm gonna start posting earlier bc if i can make it easier for some bloggers to comment, then i'm all for it! Of course you are a morning person!! I love these posts too, but I never see anyone besides mommy bloggers do them!! Need to check out that app! These are my favorite posts! Loved getting a peak into your busy day. You get a lot done! such a fun share -- you have a great schedule! i hope all is well!! Oh I love these cause I am sooo nosy! Looks like a nice balance. Love that you two cook together every night. That is such a great way to stay connected:) I need to do one of these posts! Oh hey 6am wake up sistah!!! I have to get out of bed quietly too, Le Husband is still sleeping when I leave. I love your morning comments, they make my day! How fun you get to eat with your sister, I bet that is the best! I love posts like this!! You are so organized! 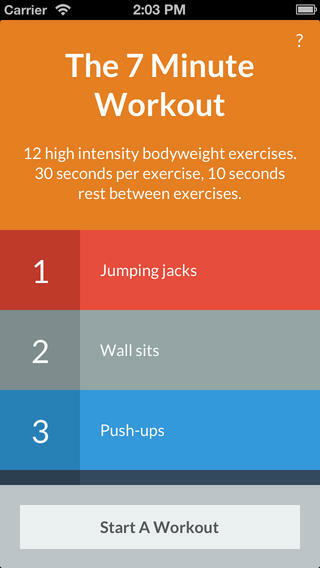 I am definitely going to check out the 7 minute workout app! Thanks for sharing! Routine is the best and it looks like you have a great one! I love that you're a morning person and that you guys make dinner together every night! Such a sweet ritual! I love day in the life posts as well!! This is a great one!! Love these kinds of posts! I should do one for my blog. Just pinned that quote, I LOVE IT! Your day is a whirlwind of activity and I am tired just reading it! lol!!! Yay for early risers! I'm up at 5:30 or earlier, so I don't even remember what sleeping in feels like. You are one busy lady, I honestly don't know how you do it all. I wish I could get out of bed early but I'm just always so tired. haha. Great post, I may have to steal this idea for myself. Hope you don't mind. These are one of my favorite types of posts! I love it. I think I am going to steal this idea! Love posts like this!! I wish I was a morning person like you... I'd be so much more productive. That is so sweet that you work close to your sister and can do lunch with her! I love seeing how people fit everything into their schedules, I sometimes wonder if some people have more hours in the day than others haha! I love these posts. My day is pretty similar to yours - lots of time in front of a computer and trying to squeeze in other things! Love this and love how right on your schedule is! I wish I could wake up early to get ahead on blog stuff but I am definitely not a morning person haha!! I love this type of post too!! Great idea!!! Love this post, Biana! You are so right about the perceived blogger life...it's definitely not the case for me! The chicken stir fry looks delicious and my husband would love that sriracha spicy mayo! Love it! Sounds busy but FUN! So jealous you work so close to your sister so you can do lunch, that's awesome. And that you have a gym in your building!? So nice. I love posts like this, because let's face it as bloggers we are nosy. That's great that you have time on the train to read and comment on blogs, I feel like I need that. I want to do a post like this so I'll def try to be mindful on getting pictures :)! I love seeing the daily routine of people. I find it interesting! Awesome that your gym is either IN your office building or near home. And that you work so close to your sister. You are so good having your posts pre-scheduled and ready to go out at 6am, I wish I was as on top of things as you are! i love day in the life posts! i spend a lot of time on computers too, lol. i am so jealous you have 2 gym locations and one is right in your office. 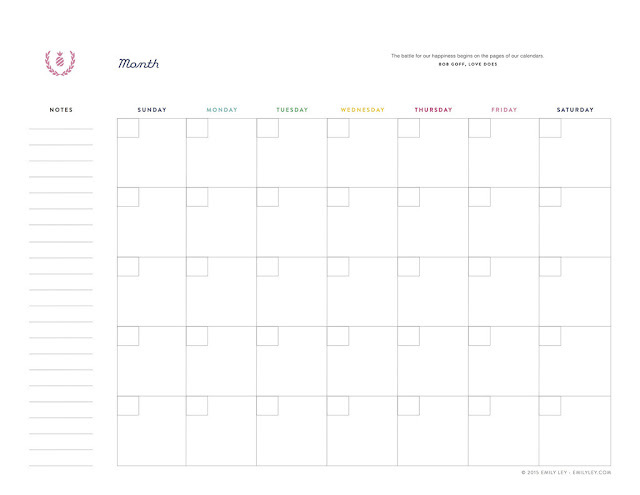 that monthly printable blog thingy looks so cool! I love day in the life posts! Our mornings sound pretty similar, although lately I've been having a hard time not hitting snooze several times! I too love day in the life posts. And I'm really jealous that you're up and awake at 6 am. I'm always prying my eyes open. 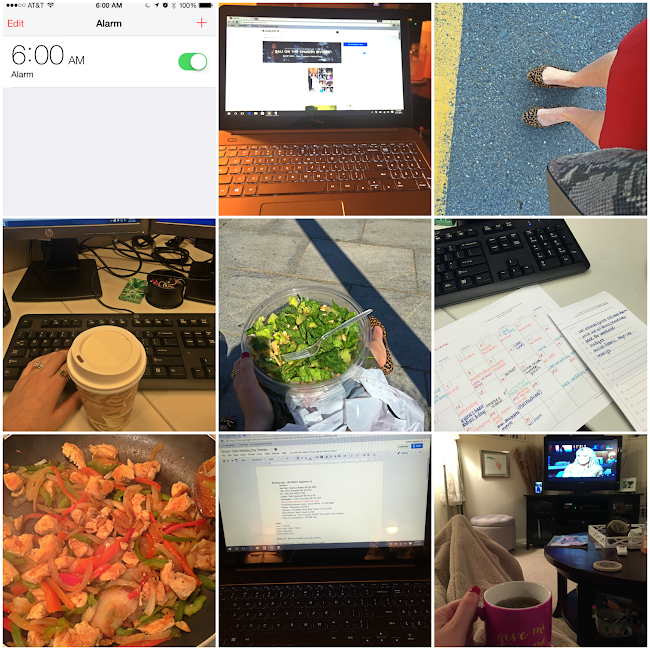 Day in the life posts are always some of my favorite posts... I love to stalk people! Your daily routine sounds very similar to mine minus the wrangling of the two kids in the evenings! Hahahaha. I really need to check out the 7 min workout app! Can I just say how amazed I am that you actually take time to sit and relax before getting ready. I always say I'm going to do this, but I don't. I bet my morning would feel a little less chaotic if I didn't try blow drying my hair while feeding myself breakfast! My typical weekday is basically waking up in the 6am hour, getting washed up and lay out clothes for the day, then I wake up my daughter, sleect her clothes, we finalize getting dressed and doing hair, while she eats breakfast, I make lunches, I drop her off at school, then I get into work by 8 or 8:15ish... work tends to be very busy and the day goes by quickly, after work, I either go to the gym, run an errand, or get ready for date night with the BF... if I go to the gym, which is more regular, I workout then come home to shower and make dinner... my nights end with getting my daughter bathed and into bed, then I get my comfy on with PJs and I Pinterest, read, watch a show or a movie then light's out sometime around 11ish! I always post for 12:00am in the morning, I'm usually not up at that time, so that I hopefully hit my peeps in the different time zones (the ones that are two hours a head of me, or even six hours). And I love your laptop, it kind of looks like a mac but then the keys look silver? I thought they were all black. I know totally random. Your day looks so jammed pack. Thank god for those short workouts right? I couldn't imagine trying to shove in a workout with that day. That printable calendar is perfect! And I totally need that app!! Sounds a lot like mine except that working out (getting to the gym, working out, getting home) takes me so much longer so I haven't been doing it lately :-/ Plus, I'm SO hungry at 5:30pm. So when do you work on writing your posts? Fantastic post, love those quotes!! These are my favorite posts! I also just downloaded the 7 minute Workout App! Thanks for the recommendation! I need something quick so there are no excuses! This was so fun reading and reminds me a lot of my everyday schedule except I don't get up as early as you...I'm with Gary on that one! LOL Printing the schedule now...I usually plan out each week the weekend before but monthly would be even better if I can think of stuff so far ahead. I think it will be great to get into the habit of it for sure. Thanks girlie! I love day in the life posts! How awesome that you have a gym in your office building. That's so nice!! Love posts like this!! I plan my mornings down to the minute too just like that - it's the only way to get more done!! I've been meaning to do something like this. I love these kinds of posts!! These are some of my favorite posts too! Love this!! Thanks for sharing a glimpse into your life! I love these posts too—and you just may have inspired me to plan on one of my own, so thanks ;) how nice that your sister works so close to you so you guys can have those lunch dates! These kinds of posts make me SO happy! I definitely want to do one in the next few weeks! I loved reading what a day in your shoes would be. I have been meaning to do one of these posts. Now, more than ever you gave me the reason to go for it. It is super cool that you are able to have lunch dates with your sister often. How fun! Girlfriend, you are super woman!!!! Your day is go-go-go, but I love it!! I absolutely love this post! I just may scribe one myself. And I definitely want to try that app! I think our days are very similar but I get up a little earlier thanks to Seamus. :/ It is so nice you work so close to your sister that you can lunch together sometimes. This is such a fun post idea, I may have to borrow it at some point! My life is somethat less eventuful though ;) and I love your leopard shoes! I can't imagine waking up so early and being wide awake! haha I so wish I was a morning person-- love your flats and so nice you work near your sister so you can meet up for lunch!